As a little update on my post regarding kendo in America, it seems that the Annapolis Academy did indeed implement gekken (the name kendo was only adopted in 1920) or “Japanese fencing” in their training regimen as mentioned in the Baltimore American in January 9th 1905, and at the same time as judo which was taught by Yamashita Yoshitsugu – one of the Kodokan’s four “heavenly kings” and instructor to Theodore Roosevelt- until 1906. 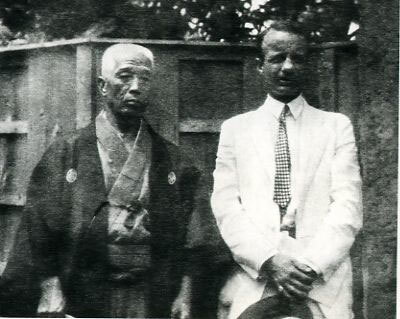 It is possible that both martial arts stopped being taught at the same time for undisclosed reasons even though president Roosevelt himself expressed his frustration with the decision. Meanwhile several other clubs seem to have opened in the USA around the same time, a more detailed article on the subject should be posted soon. Others have asked about the wrestling part of the demonstration. Kendo today does not allow for wrestling inside competitions, but before the Second World War, wrestling was an integral part of the sport and some dojos still practice this tradition.